To keep a happy, healthy body we must exercise, it’s as simple as that. We have an incredible system which regenerates and heals itself however we must aid it by “oiling the wheels” and taking care of ourselves. Extreme exercising and dieting is not essential for survival but there are ways to ensure that we are doing our best to optimise our well being. On researching what actually benefits us the most exercise-wise we found that gyms and high-tech equipment are not really necessary. The best methods are actually the most simple and natural, with the backdrop provided for us by mother nature. The simplest thing in the world, putting one foot in front of the other and just keep going. 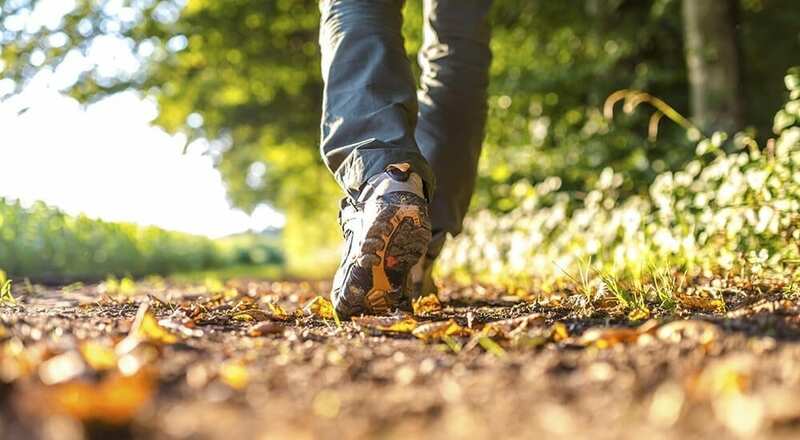 Simple yet powerful; a good walk can provide endless health benefits. Half an hour a day is all it takes to keep you in shape, build muscle, strengthen bones, assist in keeping cholesterol down, keep your blood pressure regular, reduce risk of disease, keep your mind and memory active, and generally lift your mood. Even a 10-minute walk is enough to change your brain chemistry and lift your spirits. Swimming is probably best described as the all round perfect workout. Due to the weightlessness you put a lot less strain on your body than other exercises. The fluidity of the movement can help to lift your mood, burn calories, build muscle and strength, improve flexibility, build endurance and cardiovascular fitness, keep a healthy weight, and workout the entire body. As well as the health benefits swimming can alleviate stress, relax you and the repetitive motion can act as a sort of meditation. It is also a good low impact therapy for certain injuries and can help to improve coordination, balance and posture. A graceful combination of movements often described as ‘meditation in motion’. This ancient Chinese martial art is highly beneficial for both body and mind for all age groups. Practicing Tai Chi can improve your mood, relieve stress and anxiety, increase your aerobic capacity, increase muscle strength, improve energy levels and stamina, enhance your flexibility, balance and agility and reduce blood pressure. Studies are also showing that Tai Chi can help to prevent and rehabilitate many conditions associated with ageing. A cardiovascular workout which improves your overall fitness level. 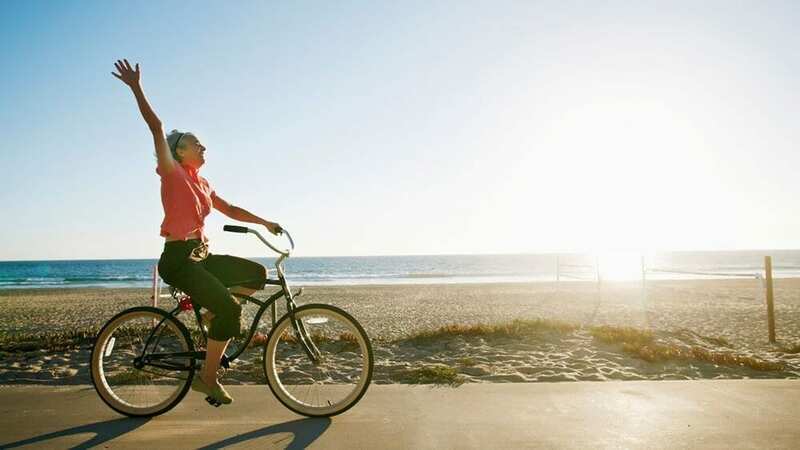 Taking an hour long ride can increase muscle strength, improve flexibility, reduce stress and anxiety, improve joint mobility, strengthen bones, reduce body fat, improve posture, improve coordination, and even prevent or manage disease. And to top it off you get to experience the great outdoors, breathe in the fresh air and perhaps explore parts of your surroundings that you otherwise may miss in daily life. Stretching is often overlooked yet it’s a simple yet highly effective form of exercise that can be achieved anywhere at any time of the day and without any equipment. A decent daily stretch can help to reduce muscle tension, increase joint mobility, enhance muscle coordination, encourage good circulation, increase energy levels, reduce and relieve stress and anxiety, optimise sleep, combat fatigue, lower cholesterol, reduce the risk of heart disease, increase flexibility and improve posture.